← Will fame corrupt our sweet bugs-next-door, the Solite insects? First step for the study was to review comics for scientific accuracy to build up a sample and find where the common errors are. I read and evaluated 150 different comics to start with from 66 different titles and 18 different publication companies ranging from 1964 to 2017. The most common type of ancient animal was (of course) Tyrannosaurus rex. No surprise there, right? I was surprised that Pteranodon was easily the second-most common, even beyond other icons like Triceratops. There were a large number of theropods (mostly the meat-eating dinosaurs) that could not be identified to genus (that’s one step above species). There were a lot of just large “raptors” that were never given a name, but seemed to copy exactly the popular ones from Jurassic Park. Since they couldn’t be identified any further, they’re not represented below. For each appearance, I evaluated anatomy for accuracy based on both our modern understanding as well as what was the understanding at the time of publication. These all got quantified and tallied so I could figure out what are the most common errors that people should be aware of when trying to learn from comic books. Here’s an example of a “raptor” fighting Sabretooth of the X-men with a few problems. Art from “Uncanny X-Men” (#11) by Greg Land, Jay Leisten & Nolan Woodard; published by Marvel Worldwide, Inc. (2016). After tallying up the results, the most common problem was dinosaurs and other animals being drawn with exactly the same teeth from front to back (42.5% of errors). Especially Tyrannosaurus has very different-sized and shaped teeth from front to back. Another very common problem was the wrong number of fingers and/or toes (9.4% of errors). Art from “Kong The Untamed” (#3) by Alfredo Alcala; published by DC Comics (1975). Another thing that is a super common problem that hardly anyone outside of dinosaur researchers knows about. Theropods like T. rex and the “raptors” could not hold their hands with their palms down (called wrist pronation). 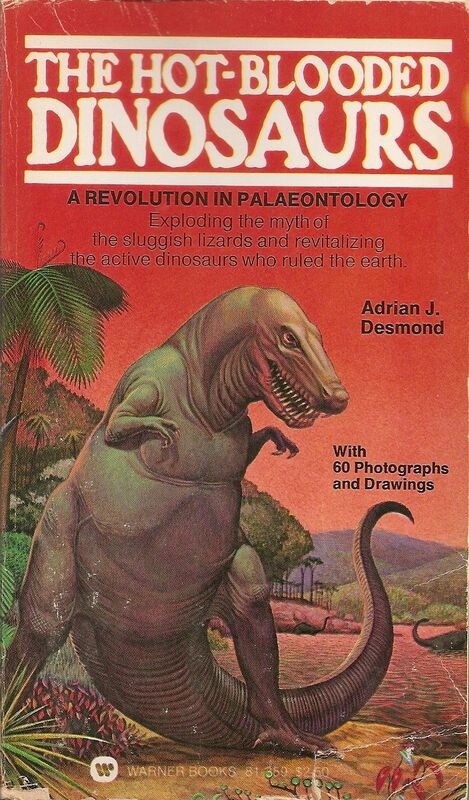 Nearly every time one of these dinosaurs were drawn, it was with inaccurate wrist pronation (24.3% of all errors). Easy way to remember: they were clappers, not slappers (kids like that one). At the meeting, there were even several paleontologists I talked to that did not know about this, so don’t feel bad if you didn’t know. This one image to the left of a Tyrannosaurus rex shows 3 of the major errors: teeth that are all the same; incorrect number of fingers and toes; pronated wrists. In case you forgot, T. rex only has 2 fingers and 3 toes. The posture is not very accurate either. Art from “The War that Time Forgot” (#1) by Al Barrionuevo, Jimmy Palmiotti, & Mike Atiyeh; published by DC Comics (2008). The last really common problem was animals being waaaaayyyyyyy too big. Artists like to make things big and impressive, but often get carried away. It contributed to 32.9% of the overall errors. there was also a lot cases where the size of the animal was inconsistent throughout the issue, where it would be correctly-sized at first then drawn way too big. My favorite example is to the right. This Pteranodon is unbelievably over-sized. These pterosaurs (not actually dinosaurs) were smaller than a modern human, and certainly could never have bitten through a plane. Art from “Muppet Babies” (#17) by Marie Severin; published by Marvel Comics (1988). There also were some animals that were called “dinosaurs” but defied any identification. Creatures like the one to the left really don’t match up with much of anything. It’s a theropod? Maybe? With Stegosaurus plates? I don’t know. These seemed most common in the “kid-friendly” comics that weren’t really trying to represent any actual dinosaur. Other very common problems were temporal mixing (80.1% of the sample issues), where animals from very different time periods were all present in modern day without any explanation. A good example is below, with a Smilodon fighting a Pterodactylus. The sabre-toothed cat is from the Ice Ages and the pterodactyl is from the Jurassic, separated by about 146 million years! On top of that, the story is set in 1981, even though Smilodon died out about 10,000 years ago. Art from “Ka-Zar The Savage” (#6) by Bruce Jones, Brent Anderson, Carlos Garzon & Don Warfield; published by Marvel Comics Group (1981). This panel is also a good example of geographic mixing. Smilodon are known from North America, particularly from the famed La Brea pits in Los Angeles. Pterodactyls have come from a limestone deposit in southern Germany. Even in the Jurassic when they were alive, it was really far from North America, and no Pterodactylus have been found there. Right now we’re in the middle of running a series of after school programs for middle school students here in Virginia, using dinosaurs in comic books to (hopefully) get kids interested and thinking about scientific representation in art and popular fiction. As part of the program, they are visiting the museum here (behind the scenes) and making their own paleo-themed content. Stay tuned for more on this as it progresses! In case anyone is curious or wants to follow our other paleo ventures, I’m also on Twitter @Dr_CrocoGator. Individual images are as follows: Brachiosaurus (Michael P. Taylor); Dimetrodon (Dmitry Bogdanov); Mammuthus (Zimices); Ceratosaurus & Triceratops (Scott Hartman); Stegosaurus (Andrew A. Farke); Tyrannosaurus (Emily Willoughby); Homo (T. Michael Keesey); Smilodon (Matt Martyniuk, vectorized by T. Michael Keesey). 9 Responses to Dinosaurs & Comic Books!!! Thanks! It’s been a ton of fun to work on this project, glad you liked it! I love Turok: Son of Stone! Some of that was in the data set, and I almost included a cover from one in the blog. Part of what I did was factor in what was known at the time of publication. I still made a note of errors as a result of changing information though, so it can be used for education. Sometimes it can even help spur the discussion of how science moves forward with new discoveries that can change our previous ideas. And yes, that hot-blooded dinosaur cover is a bit rough. A fantastic project! There will never be a shortage of dinosaurs in popular culture. It is interesting to see how you’ve applied statistics on the representations. Are you planning on going further to explore whether or not accuracy or inaccuracy is the important question? I have been working on PaleoPopCulture myself for a few years now (Comics, Cartoons, etc) and can definitely add that accuracy is not a quotient of staying power! Interested to see where your work is headed, and how successful the after school programs are! Keep it up! One of the things I’m doing with the after school students is to see what’s retained in terms of basic paleontology and earth history that is often mis-represented, as well as trying to establish the base-line understanding. The main goal being how useful are comics for informal education. As a side goal, I’m looking at accuracy and frequency through time for different kinds of dinosaurs and other ancient things within the comic book medium. It’s been a lot of fun! Hi, I don’t know if you remember me, but I was the guy who stopped by the poster at SVP and mentioned that a lot of the things you independently discovered can also be found at tv tropes (a website that deals with the use of tropes in media). It is easier to pass this connection on written, allowing me to post the link. I do remember meeting you at SVP and you telling me about this site. As you say, much easier to just click a link, thanks for passing this on! They definitely hit several of the same things I ran into. I like that comics and other media are all included in this, very user friendly too.